Hole19 is a Mobile App that was designed by golfers to enable enhanced golfing experiences. 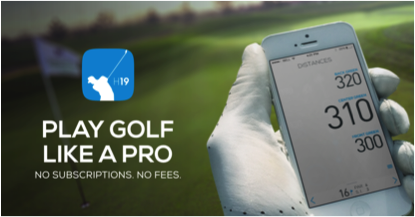 Considered one of the best free golf apps, they offer GPS distances for 40,000+ courses worldwide, along with digital scorecards and the possibility to connect with golf buddies. Aiming to become the largest and most engaged network of golf players, Hole19 challenged Karma to devise scalable and viral user acquisition initiatives with minimum cost. Facing the challenge of finding golf players around the world and turning them into users, Karma first optimised Hole19 presence across digital channels, namely the App Store, the Play Store and the main Social Networks. To accelerate the uptake of Hole19, Karma also leveraged different growth hacking initiatives that successfully boosted its brand awareness and consideration amongst golf lovers. As a result, in 6 months, Hole19 grew its user base by more than 300k golf players (paid and viral growth from 200k to 500k), keeping the cost per app install below 1€.